The Trusted Home Buyer Need To Sell Your House Fast? We Buy Houses! Our Business Accreditation with An Excellent Rating! Built On Trust & Integrity since 2007. "The Trusted Home Buyer" isn't just a name... it's the way we do business. Ask around, we'll make you a fair offer, explain the process in detail, and do what we say... each and every time. View Our Google & Facebook Reviews! I later received a card in the mail from The Trusted Home Buyer and called Martin Boonzayer. After meeting with Martin, I realized I wanted to work with him because of his easy disposition and honesty. Part-way into the process, I realized I wasn’t quite ready to move by the date I originally thought I would be, so I called Martin. He immediately put me at ease and told me to call him when I was ready – no pressure. They allowed flexibility in closing, so that I was able to move when the time was right for me. Since I had spent most of my adult life and raised my children in this house, I asked Martin if he could show us the house when the remodel was complete. On the day that he opened the house up for us to see, I brought not only my two adult children but also brought along my best friend who had lived next door to us for many years. We loved how the house turned out! The exterior was welcoming and looked ready for a new family to move in. 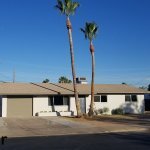 Inside was like a new home – a brightened up kitchen with new appliances, a redesigned laundry room and pantry, all new flooring, and a lot of other upgrades. It was like a new house and was simply beautiful! If it was only closer to my family, I would have re-purchased it in a heartbeat! Martin and his team at The Trusted Home Buyer did a wonderful job remodeling my home and making the process of moving on to the next stage in my life an easy transition. I would highly recommend The Trusted Home Buyer. 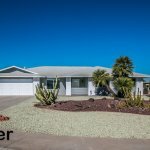 I called several ‘Home Buyer’ companies in the Sun City area and Martin Boonzaayer from The Trusted HomeBuyer was the first to return my call and the only one to have time to actually come to the house to meet me and look over the house while I was in AZ. Martin is very personable and made me feel at ease almost right away. I knew what I wanted to get out of the house money wise, but I also knew that Martin is in business to make money. I truly believe that the offer I was given was a fair deal and I have no regrets what so ever in signing the contract for the sale of the house…and for my brother’s car as well J Once the contract was signed, Martin assigned Camille as my main contact with The Trusted HomeBuyer. She was an absolute pleasure to work with, whether it was to modify the contract based on my Lawyer’s recommendations, or having a few boxes shipped to me that I couldn’t bring home to PA. She was always there to answer any and all questions I had. If I ever have the opportunity, I would not hesitate to work with Martin and Camille again. Thank you very much for a very painless and smooth process during a time when I needed it the most. My brother passed suddenly having purchased his home 5 days prior to passing. I have been a Realtor for 25 years specializing in Investor Purchases and Sales. We needed to get this home sold as quick as possible as the Mortgage Payments needed to be made which put a strain on the Family. Selling a home the standard way with listing, marketing etc. just would not work for us. Martin contacted us and within a couple of days we had an agreement for the purchase of the home. The Trusted Home Buyer and Staff are Expedient Honest and Compassionate. They understands that the family is already under a lot of pressure and complete the transaction professionally following the agreed upon Sales Terms. We were able to close within days.